Playing with my distress inks is one of my favorite things to do to my cards and then combine with C.C. 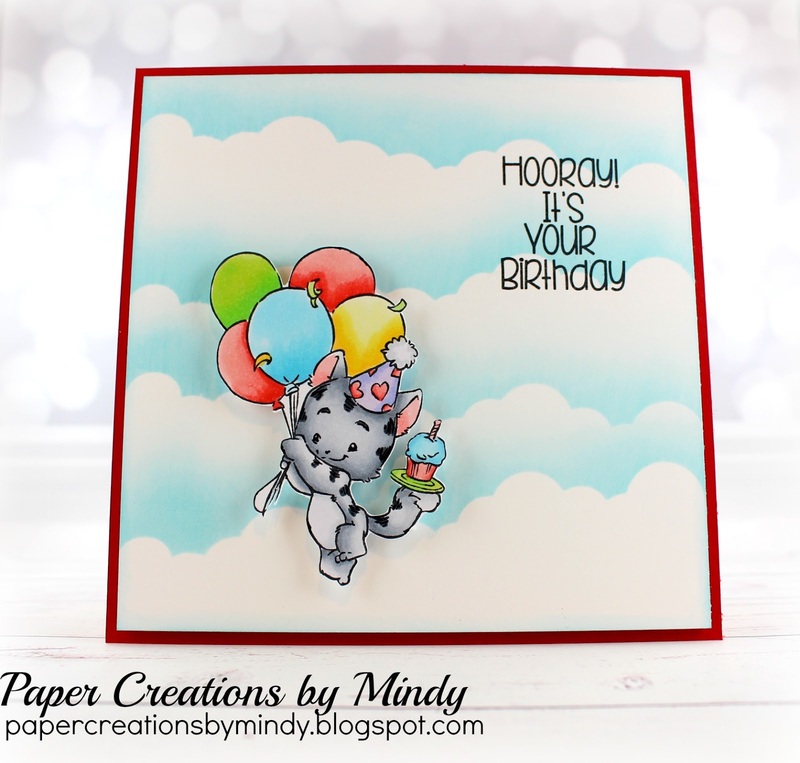 Designs – crazy fun!!! This card is featuring Party Kitty. I thought some cute clouds would go great with it. I used the cloud border die from Jaded Blossom. First, I cut it out on some acetate. I now have a great template I can use over and over again. I then just lined it up on my cardstock and applied some Broken China distress ink. I just kept randomly moving it around my paper for some clouds. Party Kitty I colored up on Xpress It cardstock and cut out with my Scan n Cut and adhered with foam dots.